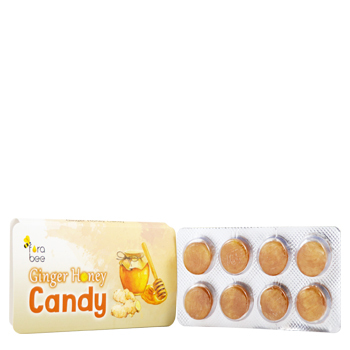 Bee Plus Honey with Ginger Candy are made with all natural ingredients. It delivers the sweet and exotic flavor of pure honey from longan flowers with a little spicy taste from genuine ginger juice. Sooths your throat and taste great. Individually packed, this makes the candy easy to eat while travelling or at home.